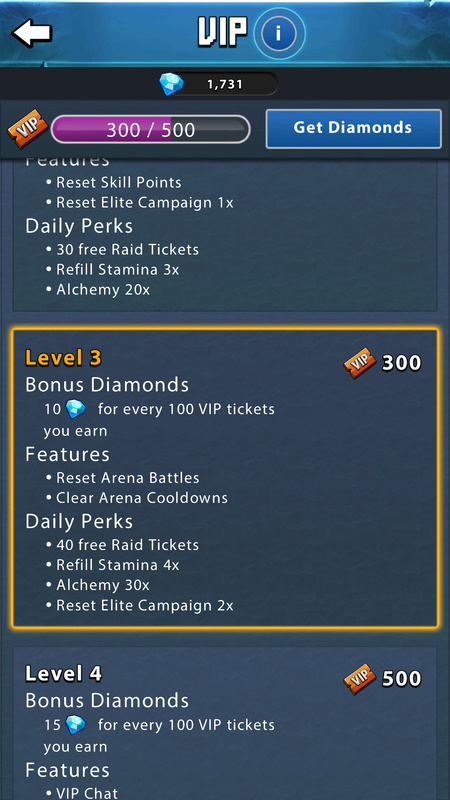 I recently bought daily gems and also am supposed to get several VIP 3 benefits.can’t figure out what the “Features”: Reset Arena Battles and Clear Arena Cool downs do. Also “Daily Perks”: Refill Stamina 4x, Alchemy 30x, and Reset Elite Campaign 2x don’t appear to do anything for me. I can do some of the above by spending gems, but surely this isn’t a VIP benefit? (ex. I Can refill Stamina for 50 gems) I do get 40 raid tickets daily, but can anyone explain the other stuff? Thanks! That’s the problem. VIP gives you just option to buy them. It’s not free, by getting VIP you,'re allowed to spend diamknds. That’s not logical but that’s how it acutally works. I hope they will change it soon. Vip lvl can give you double log in reward. Raid tickets can be used to raid any completed 3 star campaign, tower and trials at any unlocked difficulty setting. All the other listed cost gems to use and get more expensive. 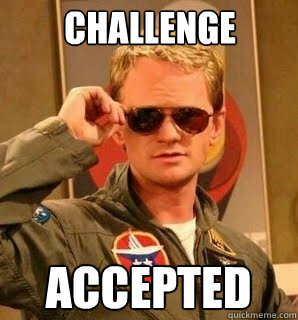 For instance stamina refill cost 50 gems twice to give you 120 stamina… Then price doubles to 100 gems. All prices go back to basic on daily reset. 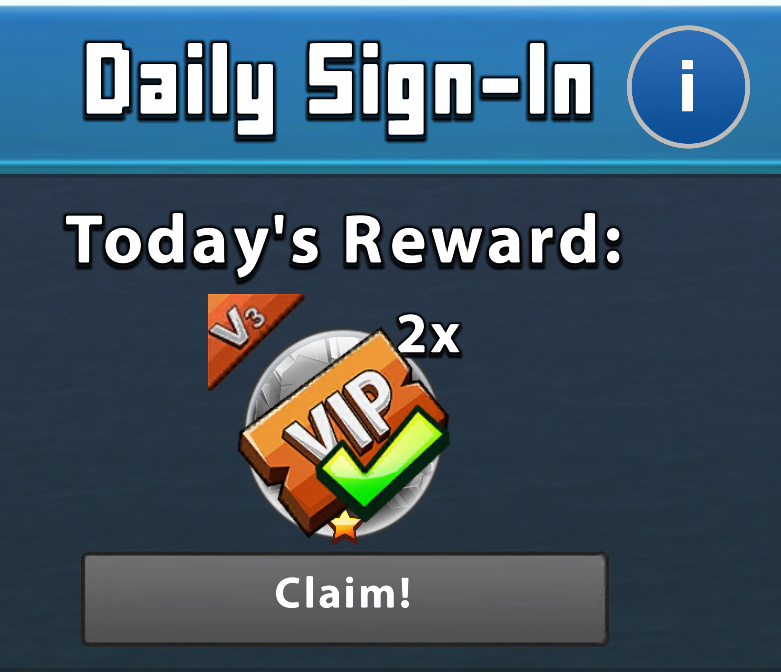 As for now… The only VIP benefit i like is VIP chat, double fortress gold and that u get double the login reward on same days its listed). The monthly VIP is good… Dont know about the rest… If you have tons of gems you will spend them toooooooo fast. So go for unlocking 10x golden chest. Thats the best use of gems. And i use stamina refill only when its double loot in campaign. Double Log In Reward, how is this supposed to work, with the initial Hero Reward? 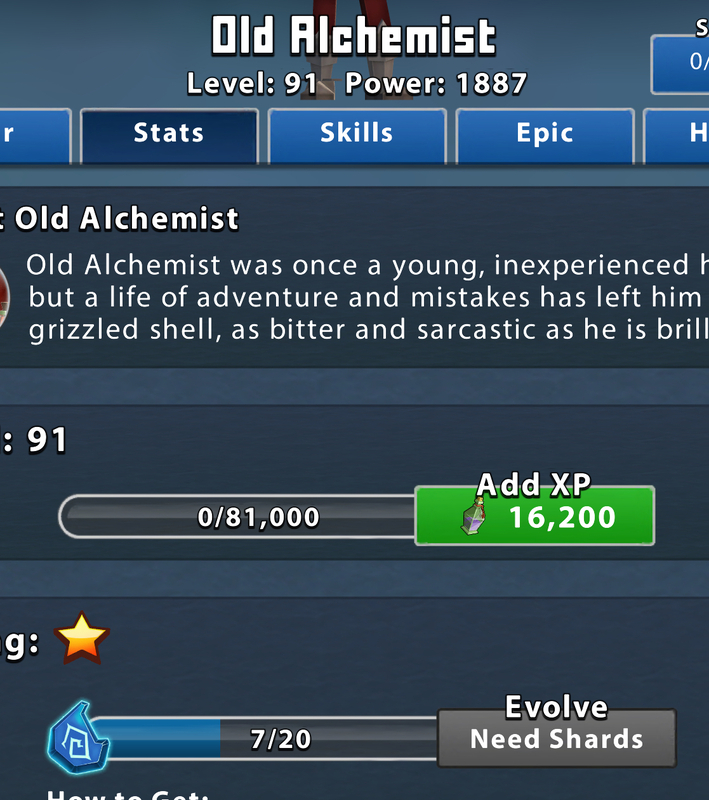 Are you supposed to get double shards, I.e. 14 if no VIP should give 7, or… ??? I have NEVER received double shards. Have you ever received Double initial Hero Shards? Yes. Initial hero unlock is what non VIP get. The seven extra shards are the bonus.